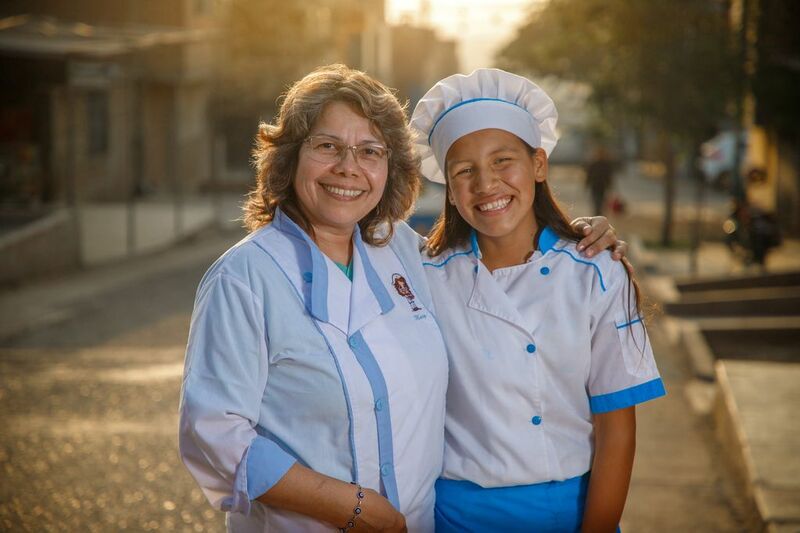 When children arrive at the Peruvian Evangelical Church in Carabayllo, Peru, they are welcomed by the smell of freshly-baked bread and pastries. The sound of razors and scissors echoes in the hallways, joined by the laughter of children who come running to the Compassion centre at the church. This church is a refuge for children. They have clean running water, a hygienic kitchen, a top-notch computer lab and access to health education. Moreover, there’s a team of volunteer staff with passionate hearts who instill God’s love in the children, inspiring them to have a better future. This safe haven is very different from their surroundings. 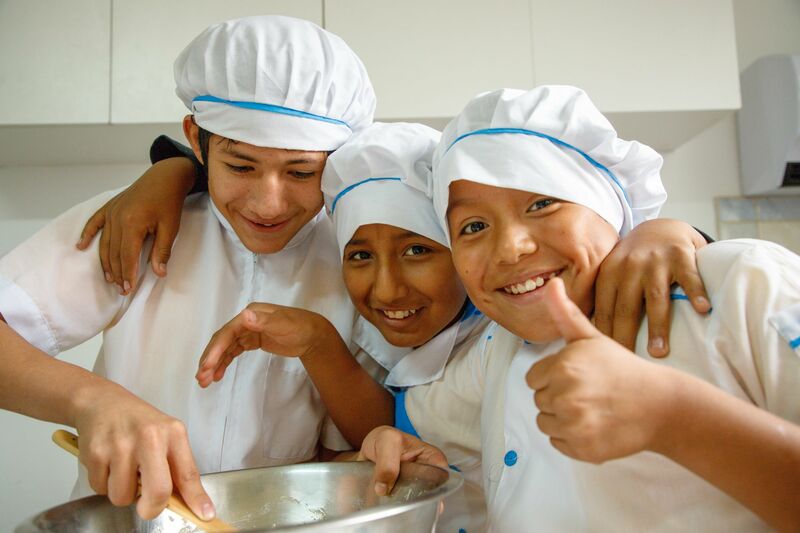 Peru has long been characterized for deficient educational policies and practices that directly affect millions of Peruvian children and youth, especially those who do not have the economic means to afford private education. This problem, in addition to a lack of formal employment and a fragile economy, leads to alcoholism, drug consumption and other social issues like teenage pregnancy. In the midst of all this, Compassion has been partnering with local churches that open their doors every week to hundreds of children and youth who are suffering from economic needs. These churches do not only give children material things, but they also provide a safe space where children can receive emotional, spiritual and cognitive support. Pastor Martin Julca leads his church in caring for children’s needs, including their need to learn employable skills. Aware of the needs in the community, the volunteer staff, led by the director, decided they had to give the children the knowledge they needed to acquire new tools to break the cycle of poverty in their families. This is how the vocational workshops were born. Only a few youth were interested in the courses at first, but as some students started gaining and using skills, other students wanted to enrol as well. However, as more students showed an interest, the centre faced a problem: the lack of a proper place to carry out the workshops. But at that time, generous Canadian donors visited the centre and saw the potential. They supplied the funds to build more classrooms where the church would not only have the room they needed, but where they could offer more courses, including baking, silk-screening, graphic design, sewing and dressmaking. A girl practices her skills at the church’s sewing workshop. 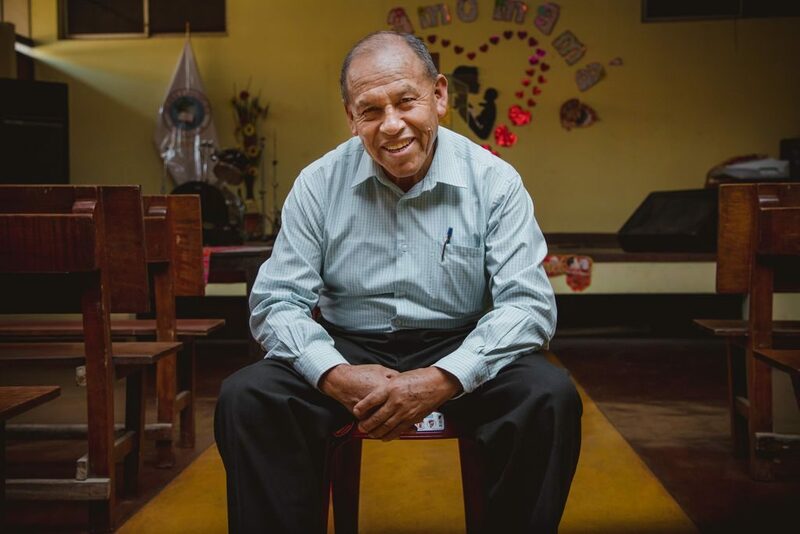 Now, with more workshops and more space to develop them, this church partner has been able to develop the skills of more than 350 beneficiaries, giving them more opportunities for the future. 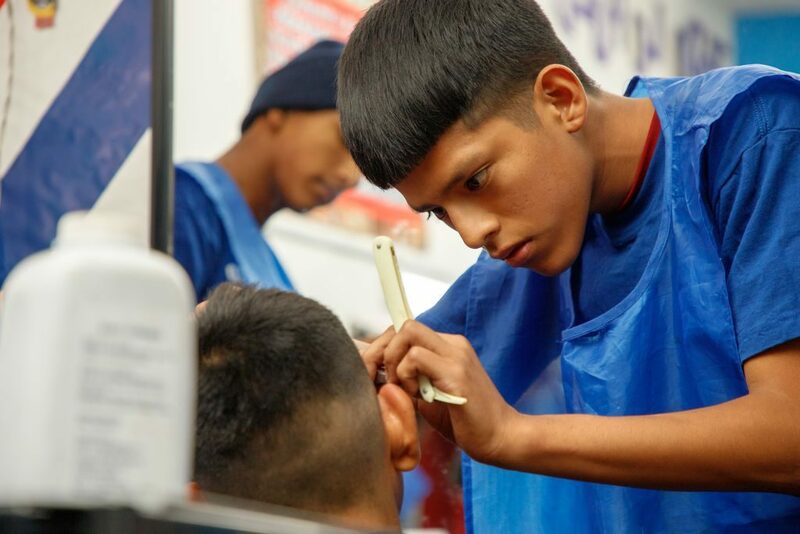 Jairo is one of the students who is taking hairdressing. 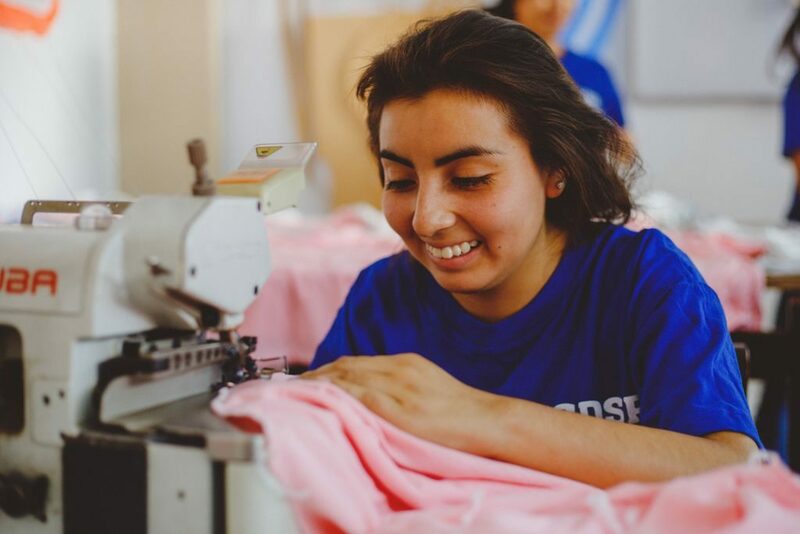 These workshops not only give students tools to earn an income, they also help them to establish their identity and equip them to shape and strengthen their dreams. Meladid practices pastry making with the coaching of her tutor, Mary. 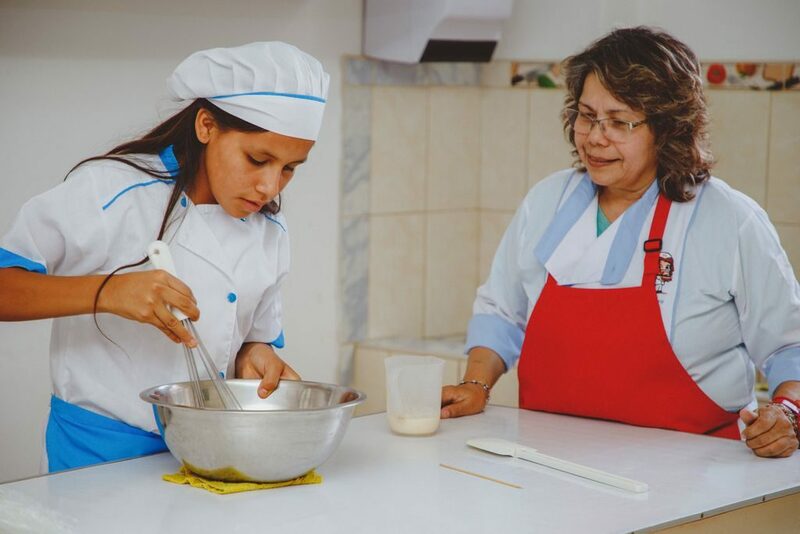 For Medalid Alzamora, learning how to prepare different types of cakes and desserts has had a significant impact on her life. The impact of the workshops is because of the diligent work of the staff who, little by little, are touching the lives of hundreds of children. The centre volunteer staff don’t just teach the workshops; they invest their lives to see children and teenagers blossom into extraordinary men and women. In the midst of troubles, when everything tells young people there is no way out, this church is a safe haven where they can fully develop their God-given skills.